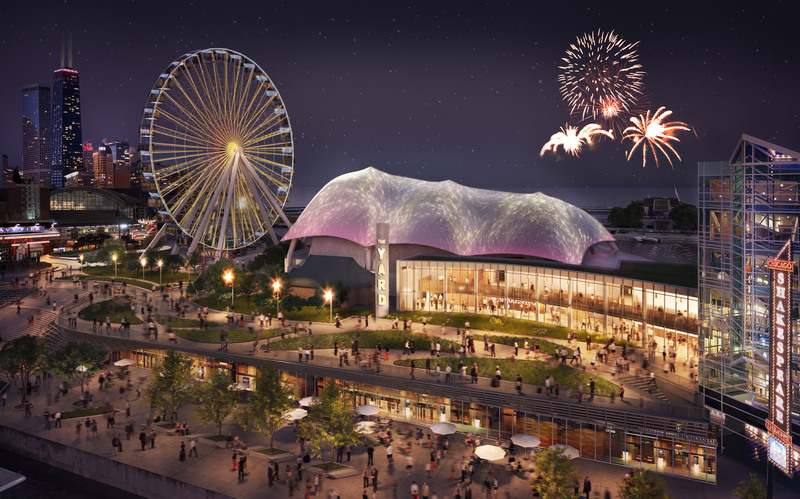 Adrian Smith + Gordon Gill Architecture (AS+GG) Design Partner Gordon Gill has been named as the Design Architect for The Yard at Chicago Shakespeare Theater in the USA, a new flexible theatre and lobby that connects with the existing Chicago Shakespeare Theater at Navy Pier. Gordon Gill, FAIA is one of the world’s foremost exponents of performance-based architecture. His work, which ranges performing arts theatres and world expositions to sustainable communities, is driven by his philosophy that there is a purposeful relationship between formal design and performance; that there is a Language of Performance, which is the basis of his practice: Form Follows Performance. In 2015, Adrian Smith + Gordon Gill Architecture was ranked the number one firm in the United States of America by Architect magazine. 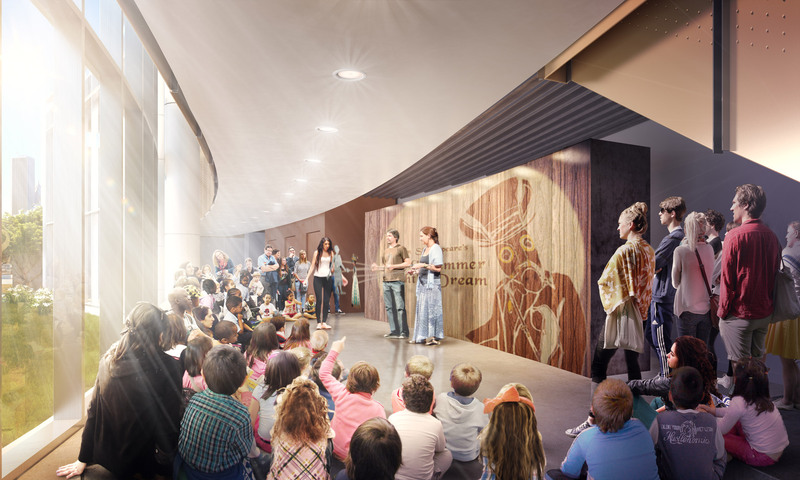 The expanded Shakespeare Theater will feature an adaptable, flexible auditorium with modular towers and a new public lobby. 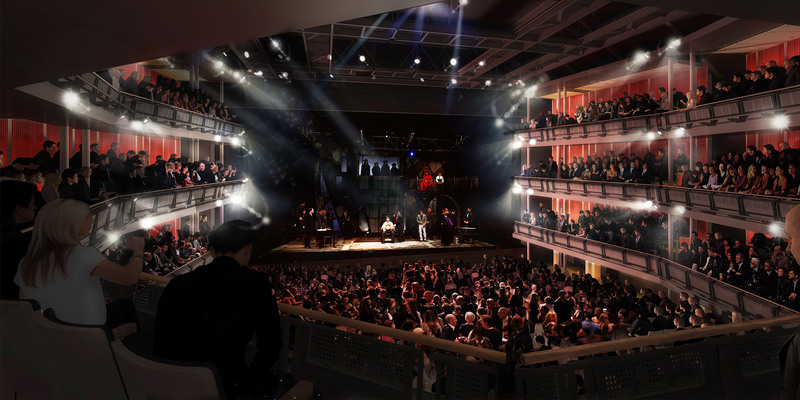 Consisting of approximately 35,000 sq ft of space, the new theatre is fully enclosed beneath the existing Skyline Stage tent, and will utilize backstage support spaces of the existing theatre. 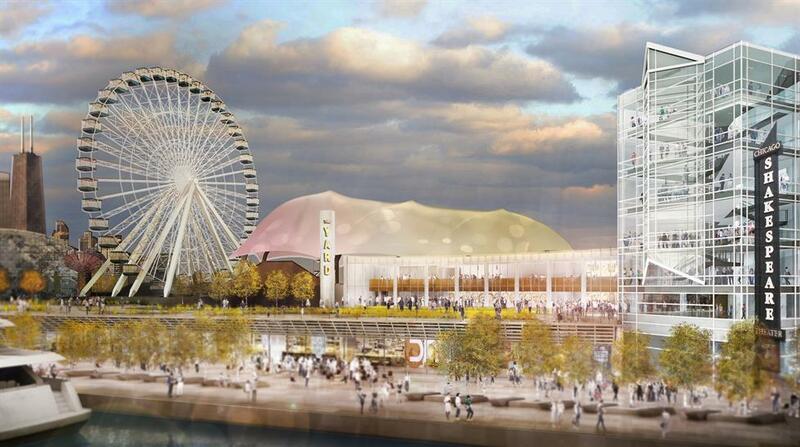 The Yard will be connected to the existing facility by a glazed two-story lobby and reception space with magnificent views of Lake Michigan. It was also important to incorporate technology that advanced performance-based solutions focused on reducing energy and operational costs. The design of The Yard features an electro-chromatic façade in the lobby that mitigates both glare and heat. This technologically unique solution is highly sustainable as it will reduce heat gain and cooling needs for the project.